Stephen “Steve” Peacocke (born 30 October 1981) is an Australian actor. He is best known for his role as Darryl Braxton, on popular soap opera Home and Away. Peacocke knew he wanted to be an actor from the age of 16. He had many performances on stage at Newcastle University, one of which he was awarded a City of Newcastle Drama Award for his portrayal of Ricko in Nick Enright‘s A Property of the Clan in 2004.He went on to act with playwright/director Agusta Supple on several productions, two of which are Stories from the 428 and Brand Spanking New, and he also had a role in Kit Brookman’s It Was Raining All Afternoon. Peacocke began his on-screen acting career in 2006 when he appeared in a small role in the award-winning Australian film Suburban Mayhem. His second feature is the 2011 film Burning Man, with Matthew Goode and Bojana Novakovic. Peacocke began appearing on television in 2007, when he played the role of Zeb Hall in medical drama series All Saints. His other television credits include Packed to the Rafters, Rake and the television film Emerald Falls in 2008, which starred Georgie Parker. In early 2011, Peacocke received the role of River Boy, Darryl “Brax” Braxton on Australian soap opera Home and Away. 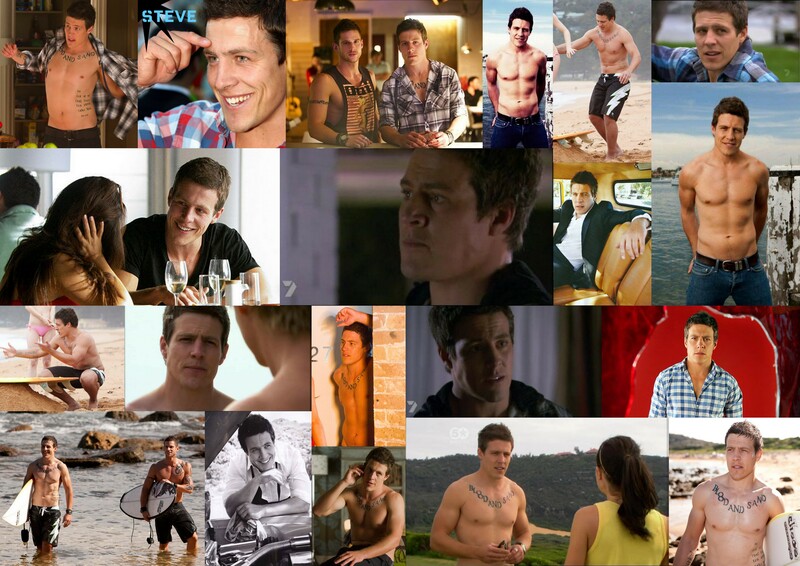 His role as Brax on the show is one he has become well known for, featuring in many of the central storylines of the 2011 season. Peacocke plans to work in American films in the future. Dubbo native Steve Peacocke joins Home and Away as the eldest and most revered of the Braxton brothers – a loyal, reckless and feared member of the ‘River Boys’. His natural knack for impersonations and performing led his brother to suggest pursing acting – and at 16 Steve knew that was what he wanted to do. At 18 Steve followed the path of his older brother and spent a year working as a Jackeroo at a sheep and cattle station in Burke. He swapped the bush for the university and studied communications in Newcastle. Steve’s lifelong passion for rugby hasn’t wavered through a list of injuries including broken ribs, shoulder, arm, and hand and having his front teeth knocked out. While injured from football, Steve auditioned for a play and ended up performed in numerous Newcastle University Conservatorium Theatre Productions. In 2004, Steve was awarded a City of Newcastle Drama Award (CONDA) for his portrayal of Ricko in Nick Enright’s A Property of the Clan. Steve went onto work with playwright/director Augusta Supple on several productions including Stories from the 428 and Brand Spanking New. In 2006 Steve had his first feature film role in Suburban Mayhem, and has a role in the feature Burning Man (due for release in 2011). Steve’s television credits include a guest role All Saints and Rake. His character’s arrival is set to shake up Summer Bay locals and police – confrontations will get physical and Brax starts a dangerous secret affair. Rhiannon Fish/ Plays April Scott.